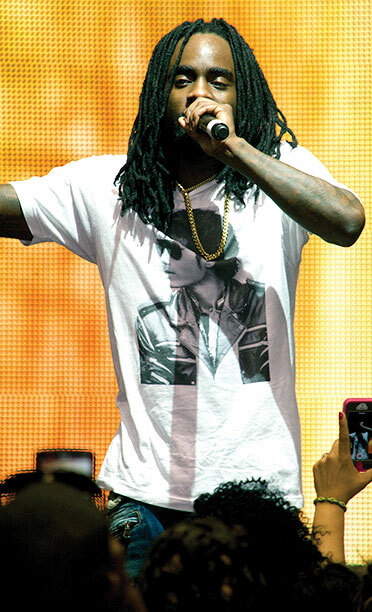 Katherine Jackson, mother of the late, Michael Jackson, presented the sixth annual “I Can’t Stop Loving You Charity Weekend.” The two-day, event was free and provided family entertainment, such as rapper Wale (pictured here), and the distribution of backpacks, school supplies and giveaways to thousands of children. Katherine and the children of Michael Jackson are committed to providing the children of Gary with the essentials for the new school year. They understand the importance of having access to resources, particularly for those living without the proper finances. By presenting this annual event, the Jackson family hopes to put smiles on the faces of local children and families.